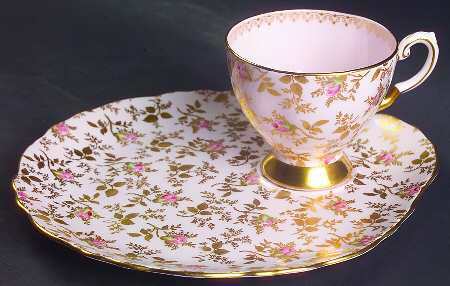 An home set - also referred to as tea and toast sets, breakfast sets or sandwich sets. 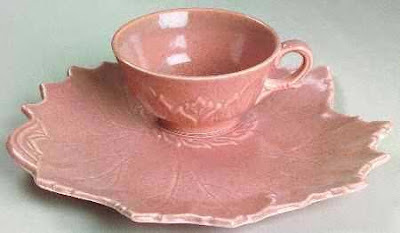 It is an oval shaped saucer or dish with a ridged indentation on one end to place the base of a teacup. 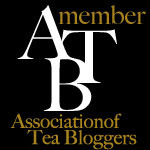 The remainder holds the toast, biscuits or other items served with tea. 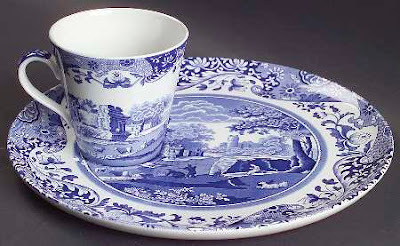 The English like to refer to these as Tea and Toast Sets, Tiffin set, Tennis Set ; the Americans like to refer to these sets as Breakfast Sets, Snack Sets or Sandwich Sets. Originally, these were not used for "soup and sandwich", these were for serving tea/coffee and dessert. These little tea and toast sets were most often executed upon a bone china or porcelain medium. However, the Homer Laughlin Pottery Co. of Ohio USA executed these little sets upon an earthenware body and carried a "geese" theme in 1950s. Such a theme was very vogue in 1950s. 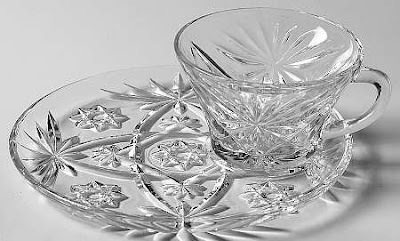 Glass snack sets were mostly made during the 1940s through the 1960s, in the USA. The porcelain and pottery sets can be much older. 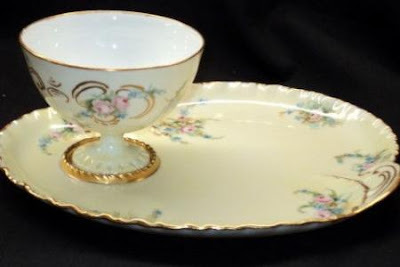 The oldest two piece snack set found was a Haviland & Co. set from the 1890s.